I’m so busy with course work right now that I can’t seem to wrap my little head around anything else. No cleaning, no cooking, no socializing: just homework. Wuh-wuh, am I right? But the semester is almost through, and I’ve been taking steps to make my academically infused weekends a bit more enjoyable. Step One: Lots of Teddy cuddle time. He’s the only dog I’ve ever known who begs not only for food, but cuddles as well. 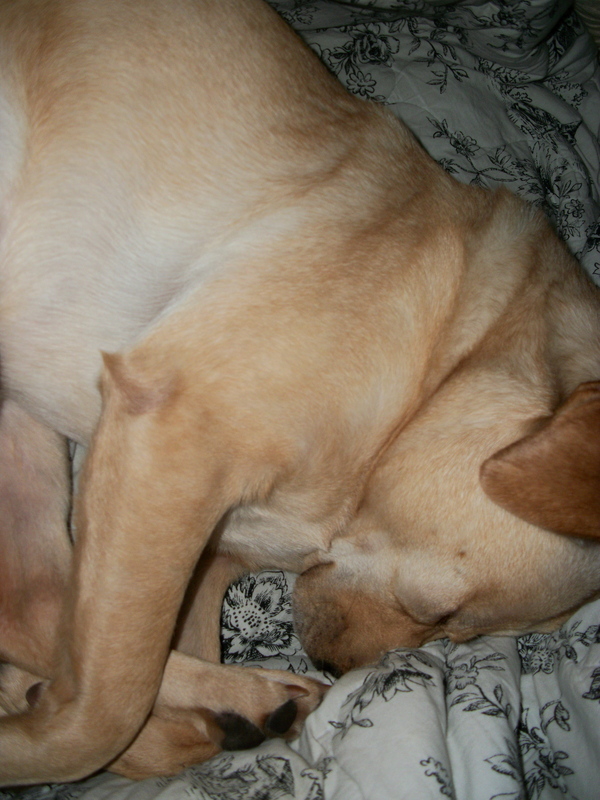 Every morning he waits for Josh and I to wake up, then crawls up to the head of the bed for hugs and kisses. I know that the majority of the world would be disgusted by how demonstrative I am with my dog, but he and I are two peas in an over-affectionate pod. Step Two: Healthy comfort food. I’m great at eating pizza until I can’t move, but food comas are no great help when trying to study. 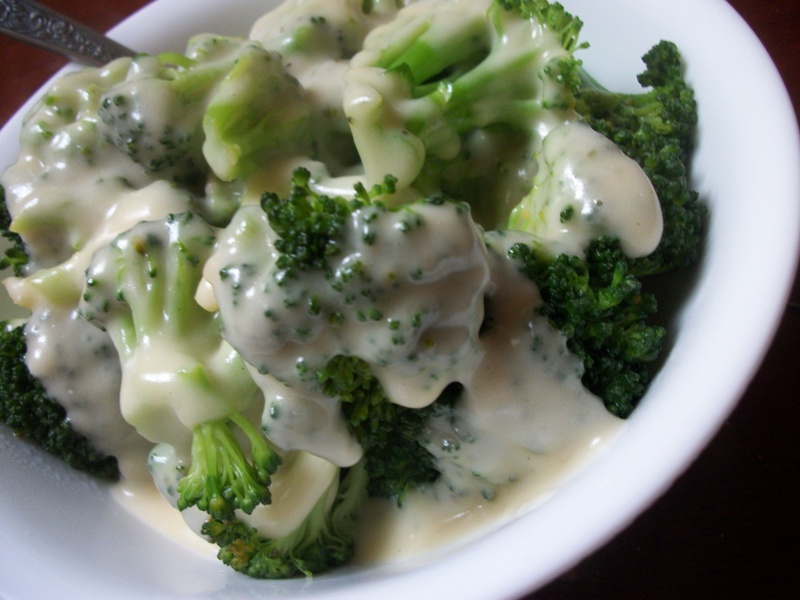 I par-boiled this broccoli, then Josh made a light cheese sauce to accompany. Delicious and much better for me than the chocolates I had been planning to eat for lunch that day. Step Three: Perfectly appropriate music for the season. Федор Шаляпин (Feodor Shalyapin) is my musician of choice right now. I first happened upon him after my Russian professor asked our class to research Russian musicians. His bass voice is phenomenally powerful and I want to listen to him sing all day, every day. Шаляпин is ideal for listening to while doing Russian homework, as I’m very much motivated by my desire to know what he’s singing. It’s frustrating to be getting such a late start on serious academia, but I’m less interested in the timeline and more concerned with eventual mastery of a subject matter that I’m passionate about. I will spend every minute of the damn day practicing my cyrillic script and studying changing stress patterns if I must because, damnit, I want this! I want it so bad, and it’s taken me years to find the drive I’m feeling now. Phew. Ok. End nerd rant. I am excited but now need to go study this stuff instead of writing about it here. Thanksgiving menu post will happen in the next couple of days, and I have a beautiful walk to share for Wednesday. Hope everyone is having a swell weekend and staying warm!